The Wareham Land Trust invites you to explore the outdoors and submit your digital photographs that capture the natural beauty of Wareham. Use this opportunity to discover our properties. 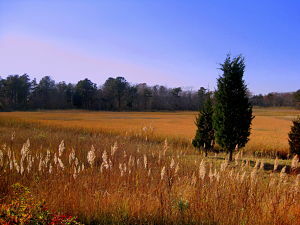 Click on the Properties tab here on the website to view information about our conservation land. We encourage participation from photographers of all ages and backgrounds. There is no fee to enter. So grab your camera and head outdoors. 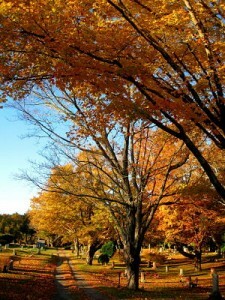 Images may feature portraits of wildlife, plant life, natural landscapes, or people enjoying nature. Email your entries to us by 31 October 2015. There are two categories: The Solitude and Serenity of Nature – flora, fauna, landscapes, or seascapes (no people) and People Enjoying the Land (at least one person in a natural setting). Two prizes will be awarded in each category. One of the prizes in each category goes to a young photographer 12 years of age or younger. Prizes include, but are not limited to, tee shirts, tote bags, and fanny packs. Photos will be judged on originality, technical excellence, composition, overall impact, artistic merit, and subject matter relevance. The Wareham Land Trust will notify the winners by email no later than 7 November 2015. Prizes will be awarded in November (date to be determined) at the Grand Opening of the newly expanded Tweedy and Barnes Conservation Area. Fine Print: Each entrant assigns to the WLT the non-exclusive, irrevocable, and unrestricted right to use and publish the photographs for editorial, trade, advertising, and any other purpose in any manner and medium, and to alter and composite the same without restriction and without inspection or approval. Previously published materials for which non-exclusive rights were granted may be entered as long as the photographer retains the right to grant the WLT a license. Members of the WLT Board of Directors and contest judges are excluded from participating in this contest. Your entry confirms your agreement to these contest rules. 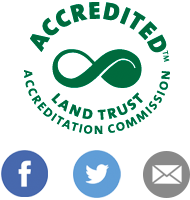 The Wareham Land Trust is a private, non-profit 501(c)(3) charitable organization.